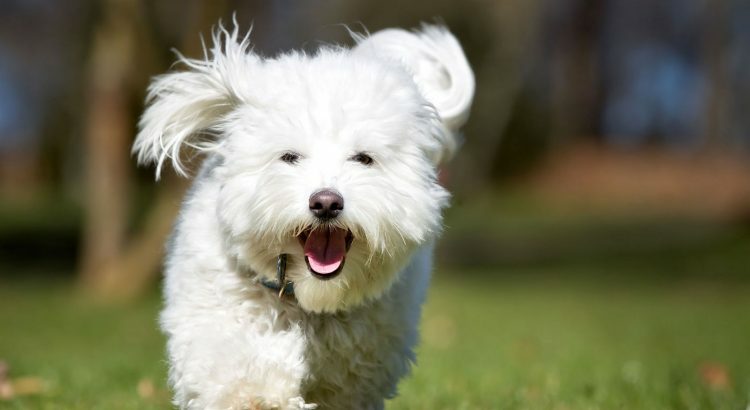 Small, fluffy and full of personality, the Coton de Tulear is a happy-go-lucky social butterfly. The Coton de Tulear is a small, long-coated dog known for being clownish and having a happy disposition. Coton means “cotton” in French and is used to describe the breed’s fluffy and long top coat. The soft coat comes in white, tri-colored, and white and black, although white or white with only a small amount of tan on the ears or body is preferred for conformation purposes. Exact information and documentation on the Coton de Tulear is lacking, but the dogs were thought to have descended from little white dogs who swam to the shores of Madagascar following a shipwreck. Other theories claim the original dogs were brought deliberately to Madagascar. The original dogs, named Cotons de Reunion, are extinct. Prior to their extinction, the dogs settled on the island and bred with local terrier-type dogs, resulting in Coton de Tulear dogs. The Merina tribe in Madagascar closely guarded the breed from the 17th century. Nobles and French royalty later acquired the dogs. The breed was accepted in European kennel books in 1970. The American Kennel Club added the breed to its Foundation Stock Service registry in 1996. The dogs were re-classed to the Miscellaneous Class in 2012 and received Non-Sporting recognition in 2014. The Coton de Tulear remains a rare breed and is in danger of extinction in its native Madagascar. Madagascar residents are proud of the breed and featured a tri-colored Coton de Tulear on a postage stamp that was issued in 1974. Cotons are happy-go-lucky social butterflies. Although they can be excellent watchdogs, they get along well with cats, dogs and children. This social and affectionate breed can become attached to family members, so there’s the potential for separation anxiety. This intelligent breed is known for performing tricks, like jumping up and walking on hind legs. They learn quickly but can be stubborn, and they may be difficult to house-train. These active little dogs love having something to do, but they are also happy passing time cuddling with their family. MEDIUM: A daily walk is recommended for this small, energetic dog. They love to play and enjoy swimming, although the affinity for the water will vary based on each individual dog. Cotons are active indoors, so they do well in apartments and don’t need a yard. If you do have a yard, fencing should be in place. MEDIUM: Daily brushing will help remove dead hair and skin and prevent matting. Hair between the paw pads and inside the inner ear should be removed. Bathe your Coton as needed, but that shouldn’t happen more than once or twice a month, although some people report only having to bathe their Cotons a few times per year. Shedding is little to none, so this breed is a good choice for allergy sufferers. The ears should be cleaned regularly to prevent ear infections. Brush the teeth regularly, because this breed is susceptible to dental disease. Also, keep the nails trimmed to a comfortable length. Keep the eyes and areas around the eyes cleaned regularly. Some Cotons may tear, while others will not. Always consult your veterinarian before using any eye drops or eye stain removers. 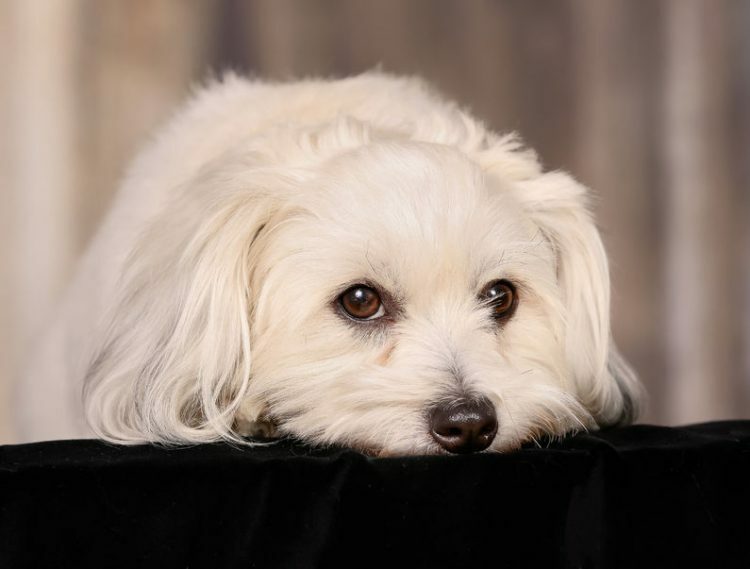 Coton de Tulear dogs may be difficult to find, but check shelters and rescues first. You can also use our adoptable dog search. If you plan to contact breeders, get references, get to know them and make sure their facility is free from puppy mill warning signs.